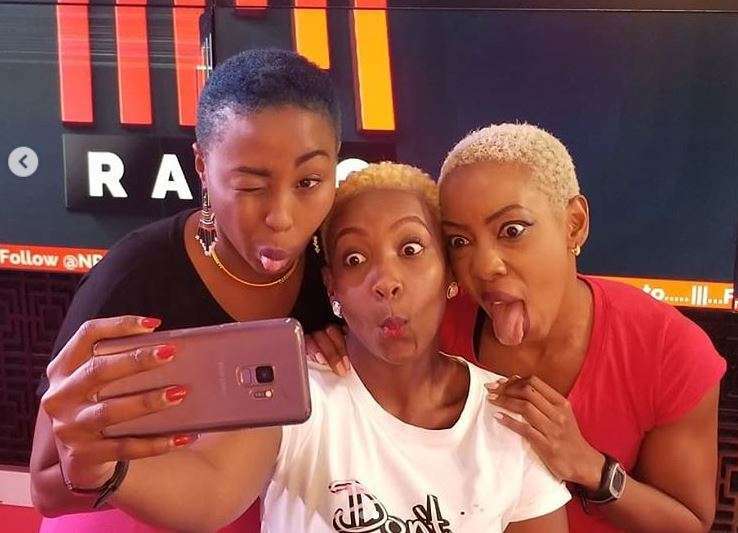 Three celebrities, blogger Jane Mukami, NRG’s Mwalimu Rachael and singer Vivian have left many Kenyans asking if they are related after posting photos together. Many fans were quick to ask whether they are sisters after the two shared the photos in which they all look somehow alike. 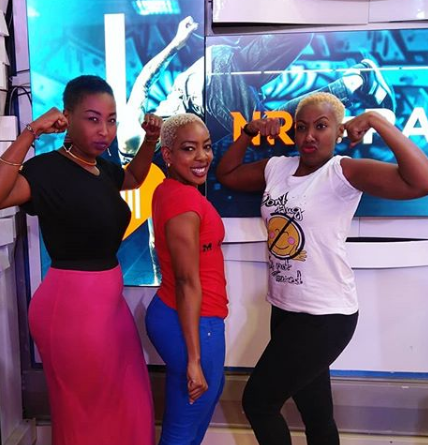 Vivian and Mukami made an appearance on Mwalimu Rachael’s shows on NRG Radio and went on to poke fun that they are sisters. “Yeah…my sistas @vivianne_ke and @fitkenyangirl I think I flexed the BEST. My people sindio???!!! Cheki vile nimekaza!! !No jokes! but that was an awesome session on,” said Mwalimu Racheal. 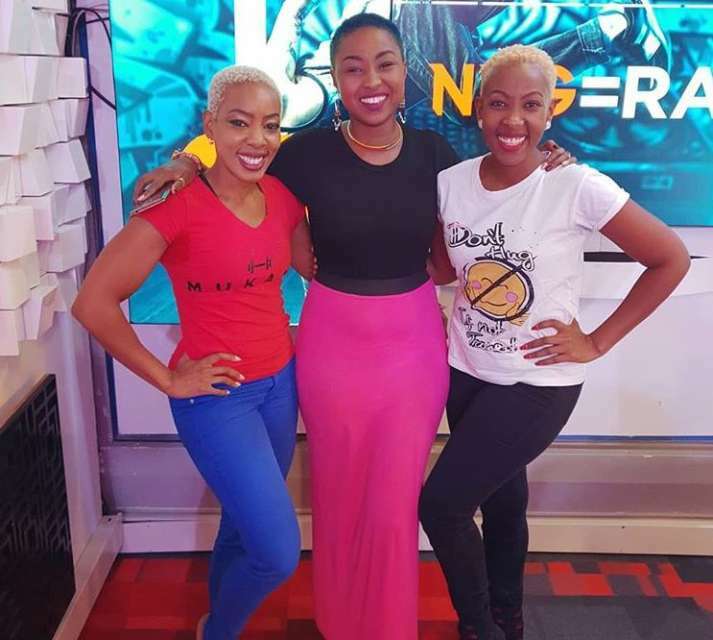 “Hilarious time on Transit @nrgradioke with #lookalikes@theemwalimurachel and @vivian_keBeing the eldest triplet I got to sit on the @nrgradioke throne for the pic #respectFun times as we discussed different topics and of course clean water + The Blue Carpet Gala @villarosakempinski Friday August 31 6pm.” Said Jane Mukami. The three were talking about their fitness journey in the show. gbodhiamboWhich one is you again? wambuimurimiI’ve shown this photo to some people and they thought these three are the same person. wangombesetiI didn’t know Vivian is your siz? ?